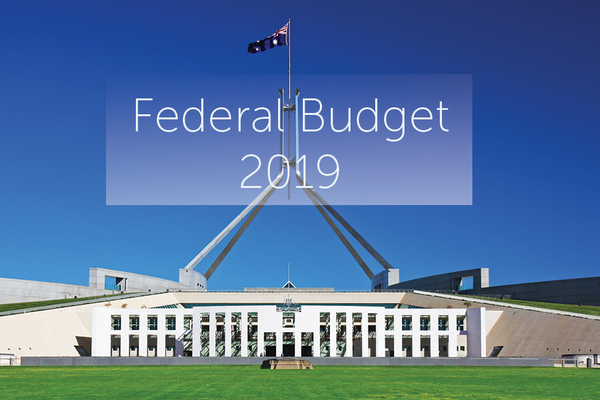 In the lead up to the federal election ANMF has asked Victorian MPs, senators and candidates if they will support aged care ratio law for private-for-profit and not-for-profit nursing homes. Only the Australian Parliament can introduce this safeguard for residents living in residential aged care. 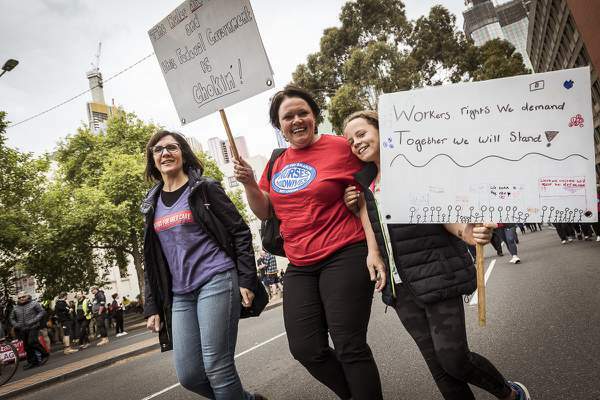 If the Victorian Andrews Government can legislate ratios in public nursing homes, there is no reason why a federal government can’t do the same in the private and not-for-profit sector. Is your MP or candidate listed? Aged care nurses and carers, and their residents, need everyone’s support to ensure politicians fix this broken system. If your local member or candidate is not listed send above send them an email now. It will take five minutes. If they are inundated they will know this is an important issue to voters. You can also send a thank you email to the senators, MPs and candidates above who have pledged to support ratio law. Let them know their leadership matters. You can view all of the nation’s politicians and candidates who have pledged support on the website links above. What else is happening and what can I do to secure aged care ratios? 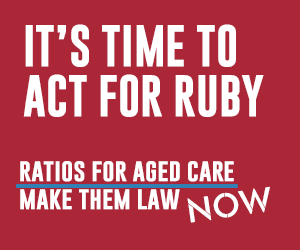 A national ANMF ‘make ratios law’ advertising campaign starts this month continuing to raise awareness in the community about how ratios can address many of the issues in aged care. If you would like to do more to secure aged care ratios join one or all our upcoming campaign activities. 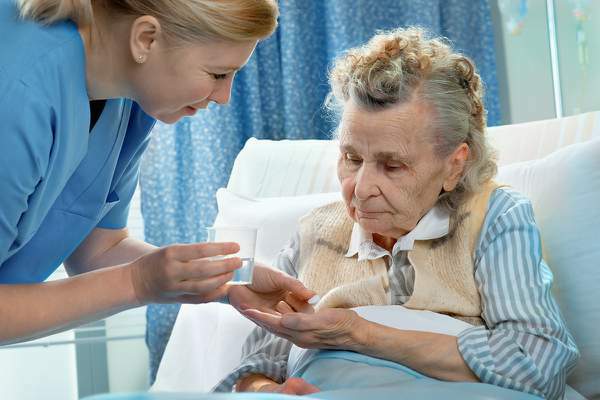 Fill out our national ANMF nurses and carers aged care survey. This is the second national survey; the last one was in 2016. Your experiences and views of working in the aged care sector are critical to making positive changes in the future. 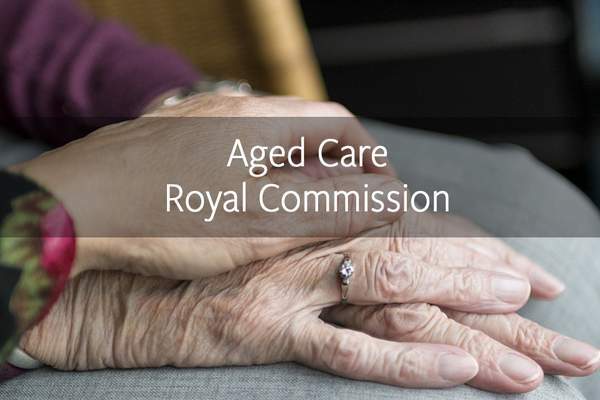 If you have a relative or loved one living in a nursing home your experiences would be welcome in our national aged care survey for family and residents. The surveys take about 10 minutes and close on 12 April 2019. Wear your red or aged care ratios campaign t-shirt and meet for a pre-rally breakfast from 8.30am at ANMF (Vic Branch), 535 Elizabeth St, Melbourne. We’ll leave ANMF at 9.50am and walk together to Trades Hall (corner Lygon and Victoria Streets) to get a good position for a 10.30am rally start. It will be school holidays and this will be a family friendly rally with children’s activities at the end. ANMF members are knocking on doors talking with voters about aged care ratios. The next doorknock event will be held on Saturday 13 April in Dunkley. Put your red or aged care ratio campaign t-shirt on and join us if you live in Carrum Downs, Seaford, Sandhurst, Frankston North, Frankston South, Langwarrin, Langwarrin South or Mount Eliza. Register to let us know you’re coming. 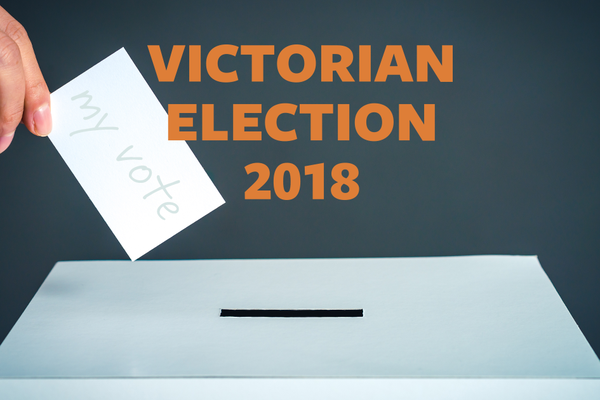 Come to the ANMF (Vic Branch) at 5pm, for a phone banking 101 lesson and help us call our members about private aged care ratios and other important federal election issues. Register to let us know you’re coming. What are the major parties promising nurses, midwives and carers and their patients and residents?